Mr. Najith Indika has been elected as the new convener of the Inter University Students’ Federation (IUSF)”Anthare” said IUSF media Unit. Najith Indika is a Colombo University Medical Faculty Student. He earlier acted as convener of Medical Faculty Students Action Committee and President of the Colombo Medical Student’s Union. Najith Indika actively engaged with the struggle against the Malabe private medical school and against Medical Degree selling. 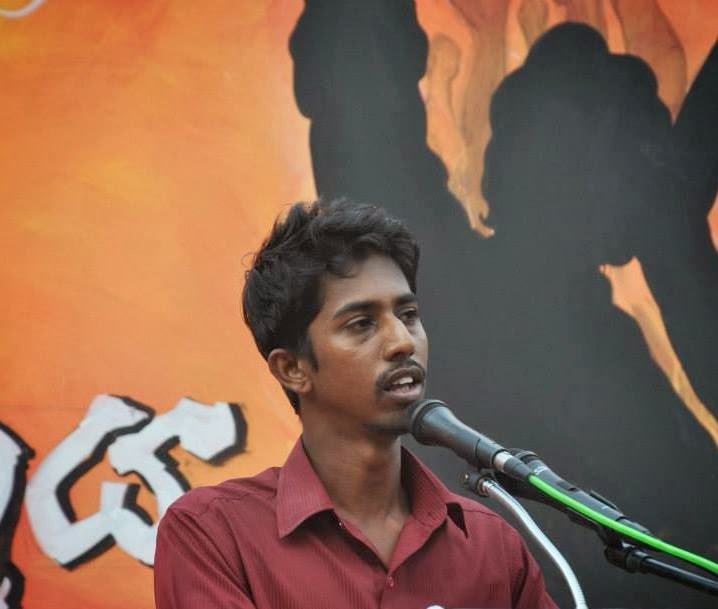 According to the sources Representatives of all universities unanimously elected Najith Indika as the new convener of the IUSF. Najith Indika will give leadership to the struggle being carried out by the student movement in the country against privatization of education and the protection of free education. 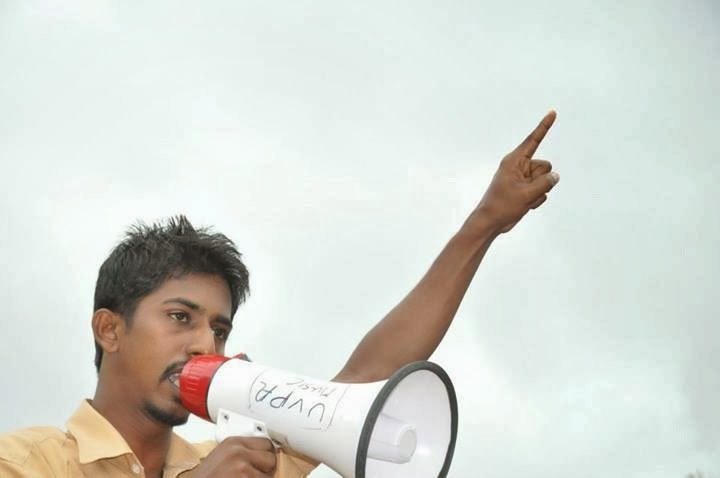 Former Convener Sanjeewa Bandara carried out the struggle of the student movement in Sri Lanka from 15th January 2011. He was a student of University Ruhuna. අන්තර් විශ්ව විද්‍යාලීය ශිෂ්‍ය බලමණ්ඩලයේ නව කැදවුම්කරු ලෙස කොළඹ විශ්ව විද්‍යාලයේ වෛද්‍ය පීඨයේ නජිත් ඉන්දික සහෝදරයා අද පැවති සැසිවාරයේදී තේරී පත්වූ අතර මෙතැන්සිට අන්තර් විශ්ව විද්‍යාලීය ශිෂ්‍ය බලමණ්ඩලය ඔහුගේ නායකත්වය යටතේ කටයුතු කරනු ඇත.